Isaiah the prophet was in the middle of telling the nation of Israel: judgment was coming. No one likes to hear God is unhappy with us. In the midst of God’s judgment, He also offered His people peace. Battles, wars, and heartache will always be a part of life, but we can keep our hearts focused on peace by focusing our minds of God. The everlasting rock is worthy of our complete trust. I have had to struggle through the pain of a death. The death of my dreams, the guilt of attachment struggles, and the crying. I crawled through each day because I was lost. Joy and peace were completely missing from my life. Slowly, God’s promises echoed in my heart. He didn’t change my circumstances; He changed my perspective. In Psalm 81, the Israelites had abandoned God. God couldn’t bless them, but if they returned, God promised to provide, out of their hard situation. For the people of Israel, it was a time of wilderness living. SO weary……A time of spiritual doubting and daily hardship. And that was me….so weary. In the middle of my day, I needed a reminder that something sweet would come from this hard season. I couldn’t wait any longer before I felt joy, love, and peace again. I didn’t want to wait for life to be normal. Normal was no longer a possibility. 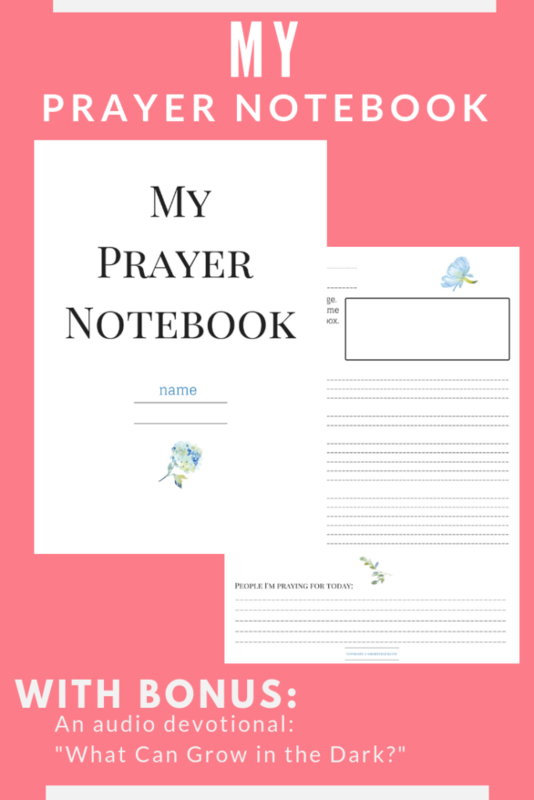 Click here to download a new prayer notebook! One of the best practices I started a couple of years ago (and still do) is write out a portion of my prayers. 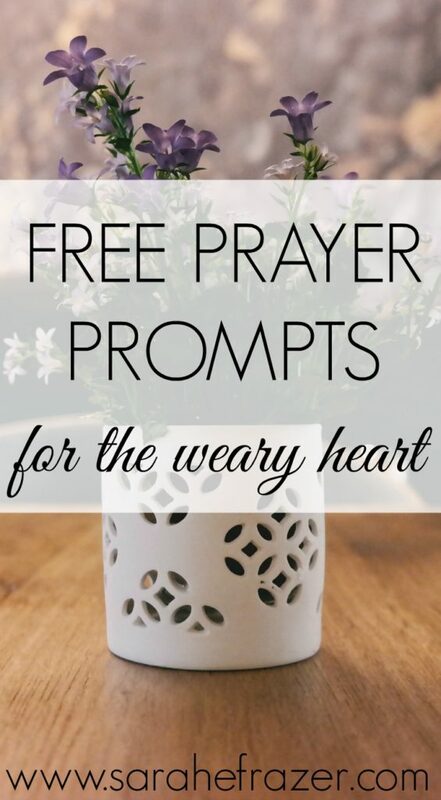 I won’t write out my entire prayer (it would take too long), but I will write some feelings and thoughts and names of people I want to pray for. It has been so helpful to keep me focused. And I get to look back and see how God has answered! USE CODE: BLOG for $1 off!